As the former “Turnaround Specialist” and National Sales Trainer for a $400M advertising/publishing company, Andrew’s mission was to inspire his sales teams and clients through his successful coaching style. Over the past 20 years Andrew has helped organizations solve their challenges with proven leadership, sales and customer retention modules that work! 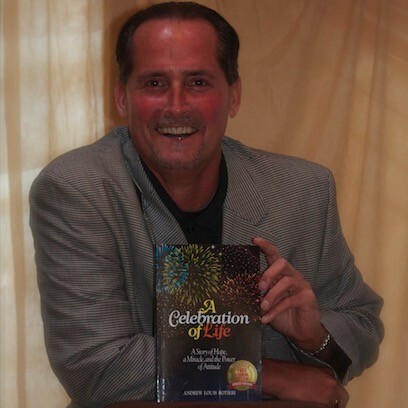 Andrew also recently published a book called "A Celebration of Life-A Story of Hope, A Miracle & The Power of Attitude" which details his miraculous medical reccovery from a rare autoimmune disease called Scleroderma. His book speaks to overcoming adversity and life challenges using perseverance and a positive mental attitude. He also speaks to life balance and reducing stress in our lives. His business and sports background enables him to help team strive to their peak performannce. Andrew Botieri is founder of Total Peak Performance®, author and a motivational sales & leadership training company for small to large organizations. Andrew’s stellar experiences also bas include Vice President of Sales & Operations for AllApartments/HomeStore, the largest real estate site on the web, now Move.com., radio advertising sales for KOY/Y-95 in Phoenix where he developed many unique and successful sales strategies and senior merchandiser manager for JC Penney where his departments broke many company records. He is a published author and featured speaker and trainer and works with many companies around the country. Andrew has over 60,000 hours of delivering dynamic sales, customer retention and leadership training programs with real life experiences mingled with lots of humor. And in his spare time he volunteers for non-profits and is a musician playing guitar/singing at local establishments on the South Shore of MA. Checkout www.andrewbotieri.com and subscribe to his free monthly blog. Andrew, I just wanted to write to you and thank you for the 9-plus years you have been delivering powerful training seminars to our members and your high energy NALP training you do for us. As of to date, your NALP scores for your attendees have consistently been in the high 80’s and low 90’s and you help draw a large attendance to our NALP program because of your stellar reputation in the New Jersey market. You have always come through for us whenever we need your assistance and help. Thanks also for the great programs you delivered in May at our Annual Conference on “Does Your Team Have What It Takes” and “SuperStar Leasing Professional”, both programs had near seat capacity. You are quite the draw for any program we do with you. Your expertise and enthusiasm are such a great fit for our members. It’s been a pleasure working with you over the few years and we’ll see you in October for our next NALP class. Find out more about Andrew Botieri at http://www.andrewbotieri.com.